When it comes to satisfying big cravings, Wingstop hits back even bigger. The immense flavor in the wings calls out to your tastebuds and sticks in your memory. But just when you thought you’ve had it hard, along comes your craving once more—urging you, this time even harder, for that flavor that seeps through the bones. For cravings that just won’t stop, your all-time favorite wings from the Flavor Company now come in bigger, filling servings! Score your favorite wings with drinks and sides—hot, signature Chipotle rice, tasty fries, or savory onion rings—in Individual Meals that are definitely big enough to satisfy more than just your curiosity. Go with 3-pc chicken Tenders, hand-breaded to perfection. You can also get Boneless Bites. Either way, they both start at P199. Or just go dive right into things with the cooked-to-order, hot bone-in Classic Wings that made Wingstop famous in the first place. At P269, get 5 wings sauced and tossed in your favorite flavor. From mouthwatering Mild Buffalo to tongue-searing Atomic, you can choose just how far you’re willing to go for a thrill in a meal. Like oriental? Get Korean Soy. Prefer Mediterranean? There’s Garlic Parmesan. In between Lemon Pepper and Mango Habanero, there’s a world of flavors that’s just waiting to jump from your plate to your palate. We haven’t even gone to the dips yet! Pair your sides with our Ranch, Bleu Cheese, Honey Mustard, BBQ, Atomic, Teriyaki, or Cheese dips. And to really hit the homerun, upsize your drink or add a coleslaw. It’ll just be P20! Wingstop is also prepared for when you bring the gang, so gather the pack and enjoy the new Meals to Share. Starting at just P599, get a huge set of your favorite Classic Wings, Batter-friend Wings, Boneless Bites, Tenders, or a combination of any two. Like the Individual Meals, these Meals to Share have big appetites covered as they also come with your favorite combination of drinks and sides. How do Cheesy Salsa Nachos and Apple Juice sound? Get creative! There’s a set for groups of every size, whether you’re just an eager pair or a ravenous group of five. Big hunger doesn’t have to be a big problem—for either your palate or your wallet! So if you #CantStopTheCrave, go out and try the bigger, better menu from Wingstop. On a mission to serve flavor to the world, Wingstop is more than just a chicken company, it is a Flavor Company. Opening its doors in the Philippines in 2015, Wingstop offers tasty chicken wings that boast of 14 mouth-watering flavors – Hot Buffalo, Honey Garlic, Mango Habanero, Lemon Pepper, Korean Soy, Teriyaki, Cajun, Garlic Parmesan, Spicy Soy, Hickory Smoked Barbeque, Atomic, Honey Barbeque, Mild Buffalo, and Louisiana Rub. 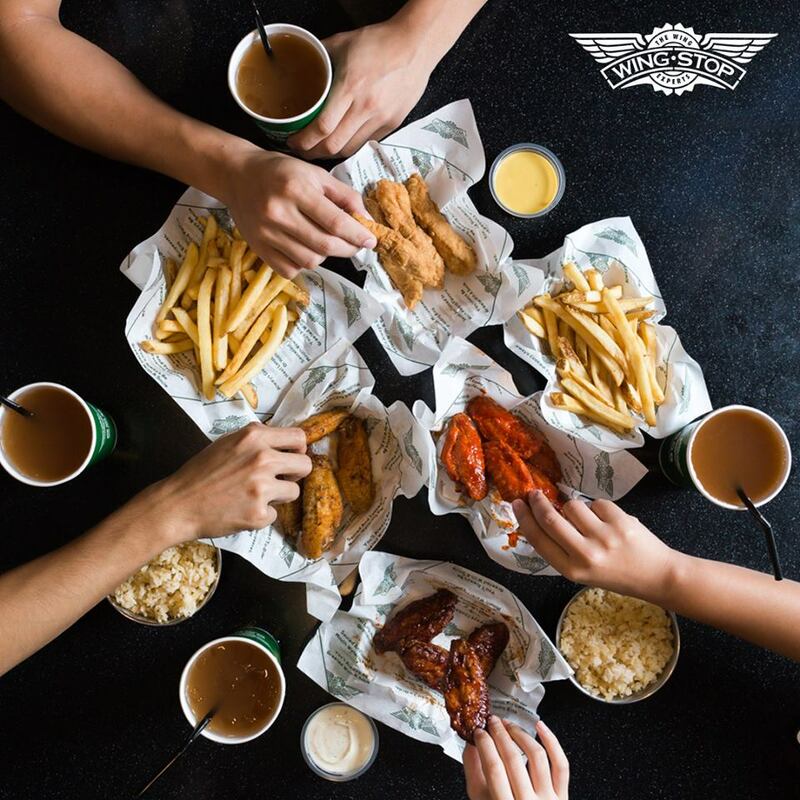 To know more, visit www.wingstop.com.ph, LIKE Wingstop Philippines on Facebook and FOLLOW @wingstopph on Instagram. The Hotelier Awards 2016 Winners Announced!